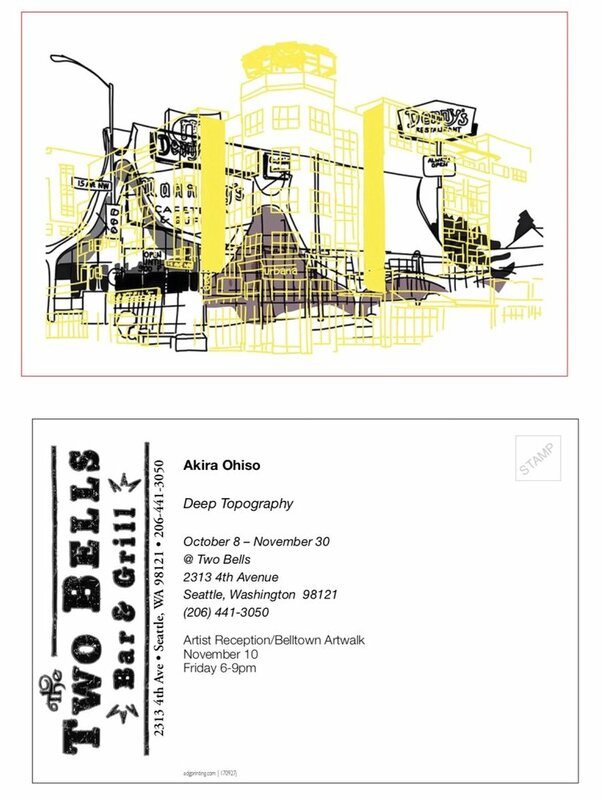 Akira Ohiso's DEEP TOPOGRAPHY Exhibition at Two Bells in Belltown, Seattle. Show runs from October 8, 2017 through November 30, 2017. Artist reception to coincide with the Belltown Art Walk on Friday, November 10 from 6 pm to 9 pm.